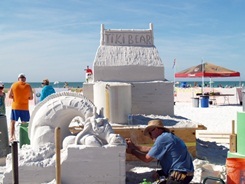 The Siesta Key Master Sand Sculpture Contest is both an International and Professional level sculpting competition held each November on Siesta Key Beach. 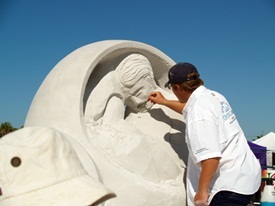 Only about 20 - 25 sculptors compete each year for the grand prize. 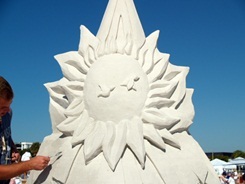 This competition among "sand artists," held every November, is a professional level competition with Thousands of Dollars in prize money. And to "qualify" for entry into this competition the sculptors must already have won an international contest. 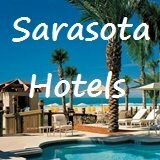 Yes, these professionals are serious about the Siesta Key Master Sand Sculpture Contest and most even earn their livings this way! 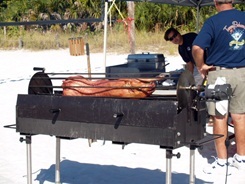 The inaugural competition was held in November, 2010 on Siesta Key Beach in a fenced off area south of the concession pavilion. 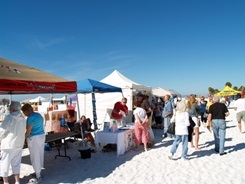 The gorgeous sunlit skies and the nearby sparkling crystal blue Gulf of Mexico combine to make for a beautiful backdrop to the artful event and competition. 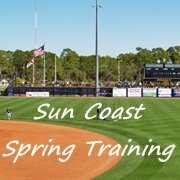 This time of year the weather usually proves perfect for the 4 day event with temperatures hovering around 80 degrees. 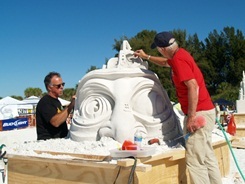 A little history: In the first of its kind event on Siesta Key Beach, ten pairs of the top master sculptors from around the country and the world were competing for the top money prize of $9,000! 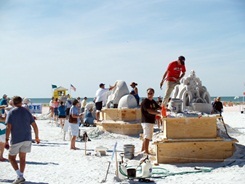 Making this truly an international competition, sculptors have come from as far away as Latvia and Italy, New York, California, South Padre Island, Texas, Vancouver, Washington and elsewhere to as nearby as Ft. Myers and Orlando, Florida. 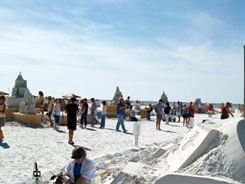 A little insight into sand sculpting: While the white, baby powder fine sand of Siesta Key Beach, just off mainland Sarasota, Florida, is wonderful to walk on, lay out on and play in, it does present its own unique challenge for the artists participating in the Siesta Key Master Sand Sculpture Contest. 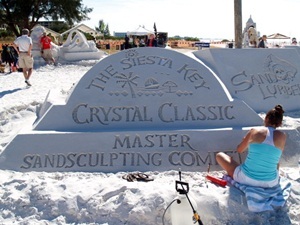 For one thing, “our” Siesta Key Beach sand is more difficult to sculpt because of, according to the sculptors, “the cleanliness and lack of silt and other binders in the sand.” What that means is that the sand blows away easily. 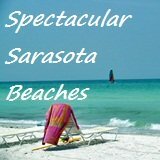 The Siesta Key Beach white sand is made of 99% quartz crystal which is why the sand is so “baby powder” fine. So, to aid in their sculpting work and to keep the sand from blowing away as the sculptures are being created, the artists spray a mixture of Elmer’s glue and water onto their carvings as they progress along with their work. This process successfully keeps the wind from blowing away the powdery fine sand. 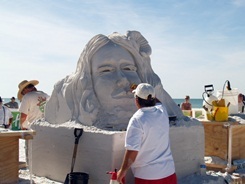 For spectators: The master sand sculptures will be visible along the beach, but for close up viewing of artists at work wrist bands will be available for purchase for $6 per person. 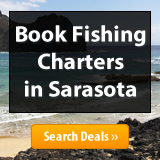 The proceeds go to benefit the Mote Marine Laboratory Sea Turtle Conservation and Research program. There are also sponsors and food and drink vendors in a food court setting as well as a "Vendor Village" for a little bit of shopping, all helping to make it a festive time for all. 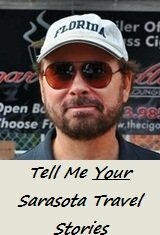 All in all, this is one relaxing event to attend. 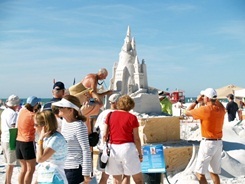 Stay, enjoy the weather and the sculpting and gawk and stroll as long as you like. I did! 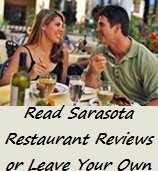 In an attempt to ease parking at Siesta Beach event organizers suggest you park off site at either of two locations and use public transportation such as Sarasota County Area Transportation buses to shuttle you to Siesta Beach. 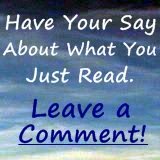 Hours of event: Friday: 9 a.m. - 5 p.m., Saturday: 10 a.m. - 9 p.m., Sunday: 10 a.m. - 9:00 p.m., Monday: 10 a.m. - 5 p.m. Admission: Various package prices and single day ticket prices are available. On line discounts available with various other ticket packages including reserved private parking.